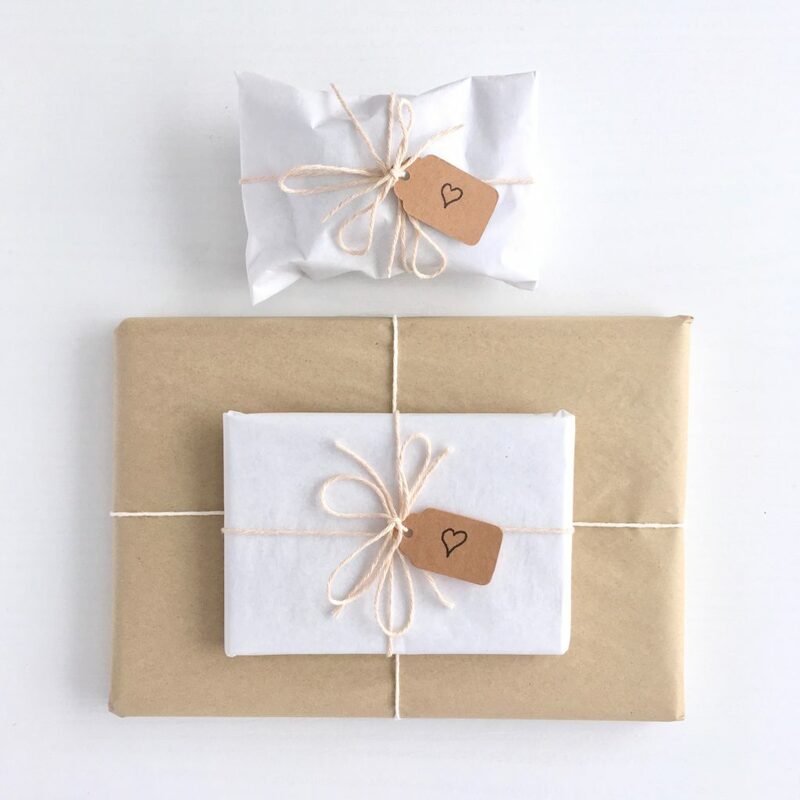 If you choose the gift-wrapping option at checkout, I will – in most cases – carefully wrap your items in 100% recycled tissue paper, tied with contrasting 100% recycled cotton yarn, and finished with a mini tag, hand-cut by me from cereal packets, etc. In some cases, such as sets of gourds and pinecones, I will instead use a smart reusable, recyclable, biodegradable “takeaway” style box. I believe these are also made at least in part from recycled materials, but I have been unable to get details from my supplier as yet. 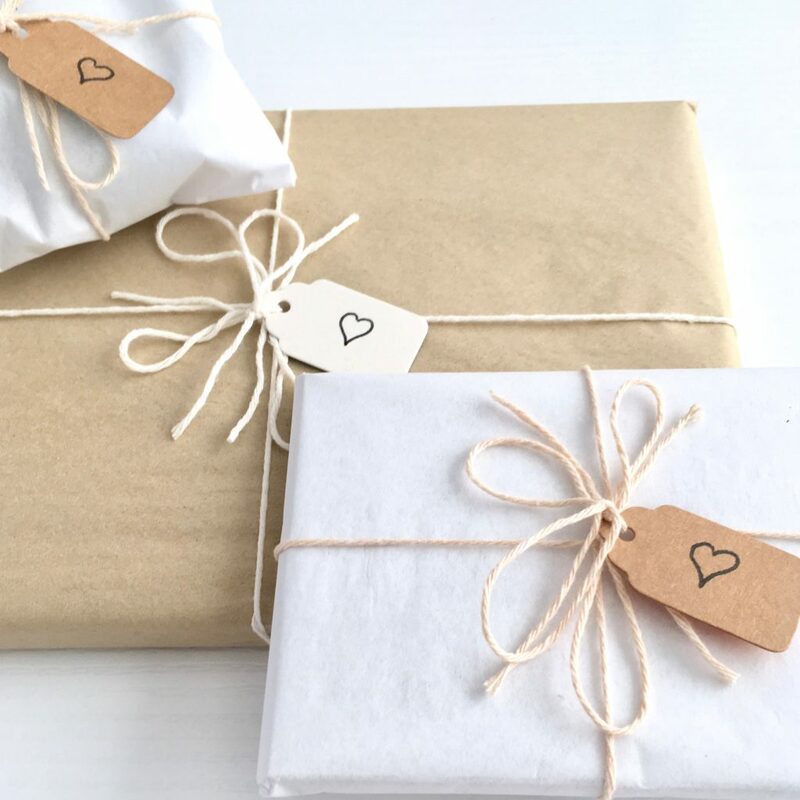 It was important to me to keep the gift-wrapping minimal, and if not re-usable, then easy for you to recycle yourself. 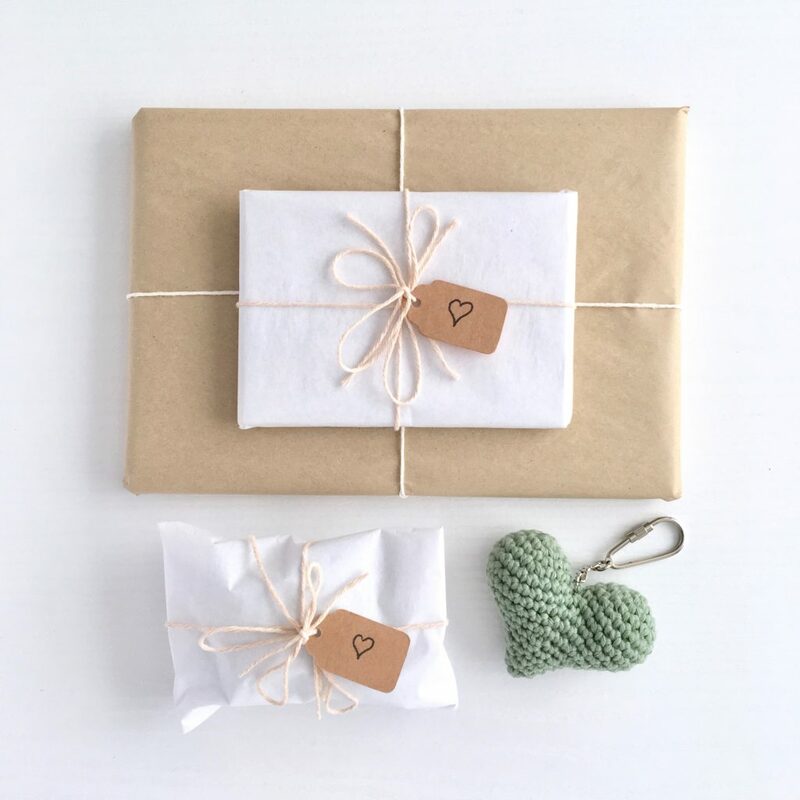 The tissue, boxes and tags are easily recycled in your home recycling, and the string of course has a thousand other uses. 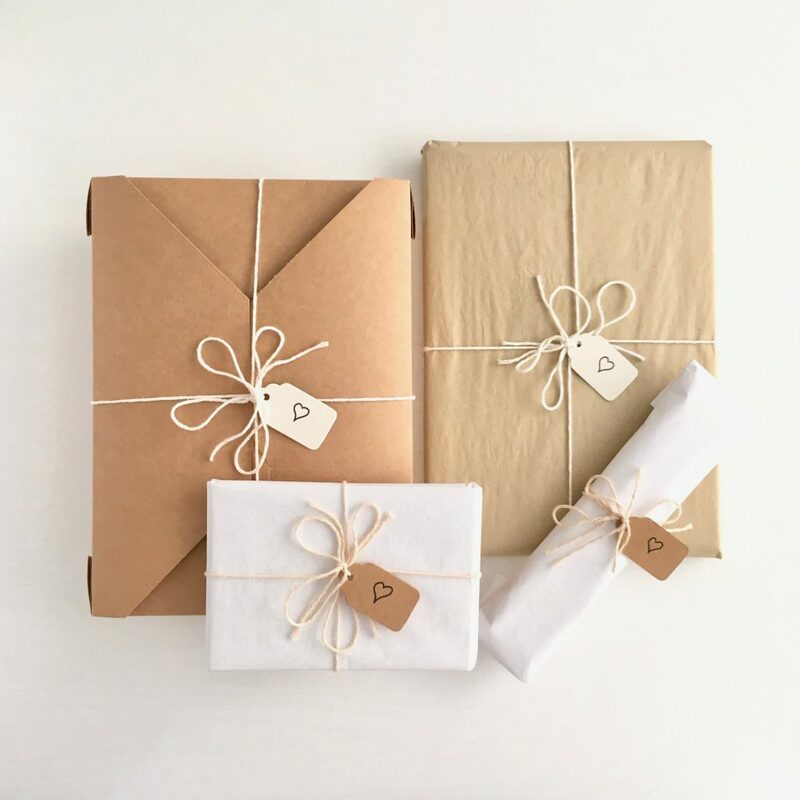 I’ve had to think carefully about not only the gift-wrapping, but how the gift-wrapping then affects my outer postal packaging, as in some cases this will have to be different to how I pack non-gift-wrapped items for the post. 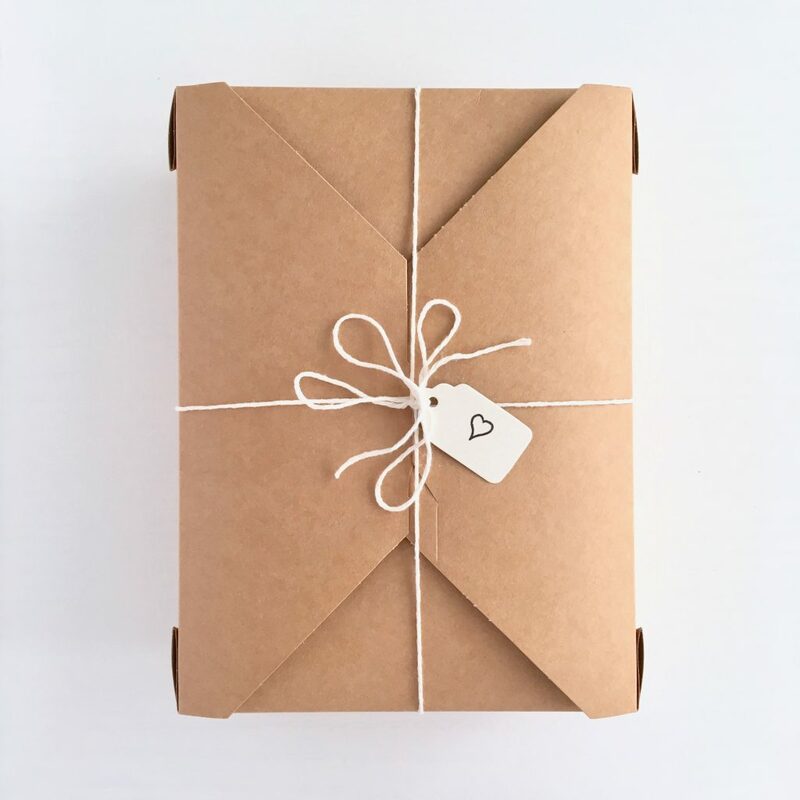 …or a sturdy cardboard box, made from 97% recycled material, with the remaining 3% coming from managed sources. 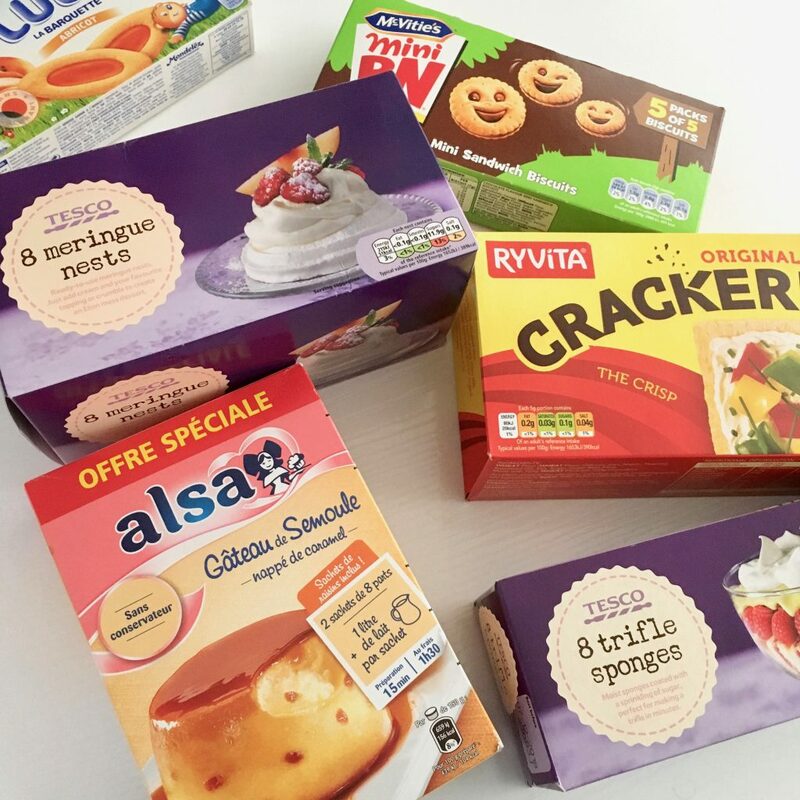 I’ve had to source these boxes and envelopes in quite a range of shapes and sizes to fit all my different items! 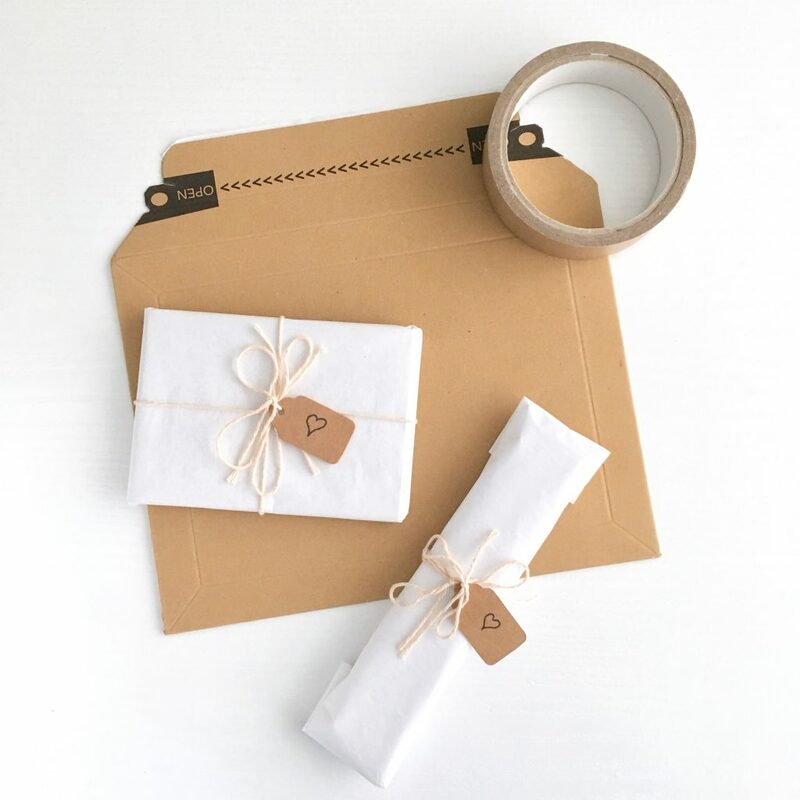 If you didn’t already know, my postal packaging is completed with recyclable, paper-based parcel tape, 100% recycled brown paper, 100% recycled plastic mailing bags and 100% recycled and recyclable labels. All my packaging slips and other paperwork are also printed on 100% recycled paper. 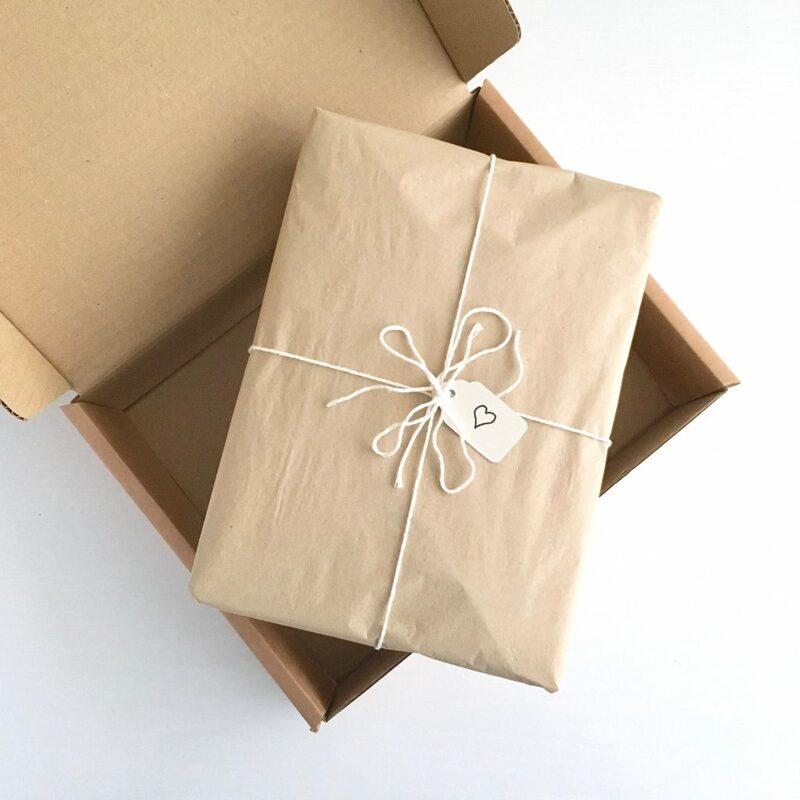 I occasionally re-use bubble-wrap or “Jiffy” type padded envelopes that I have received myself – better to reuse them than throw them away. If you ever have any questions about the packaging you receive, just get in touch and I will be able to give you the full details. There are so many permutations it’s hard to summarise (and Etsy gives me just 150 characters in which to do just that!) which is why it’s taken me so long to get to the point of “switching on” gift-wrapping across my range. 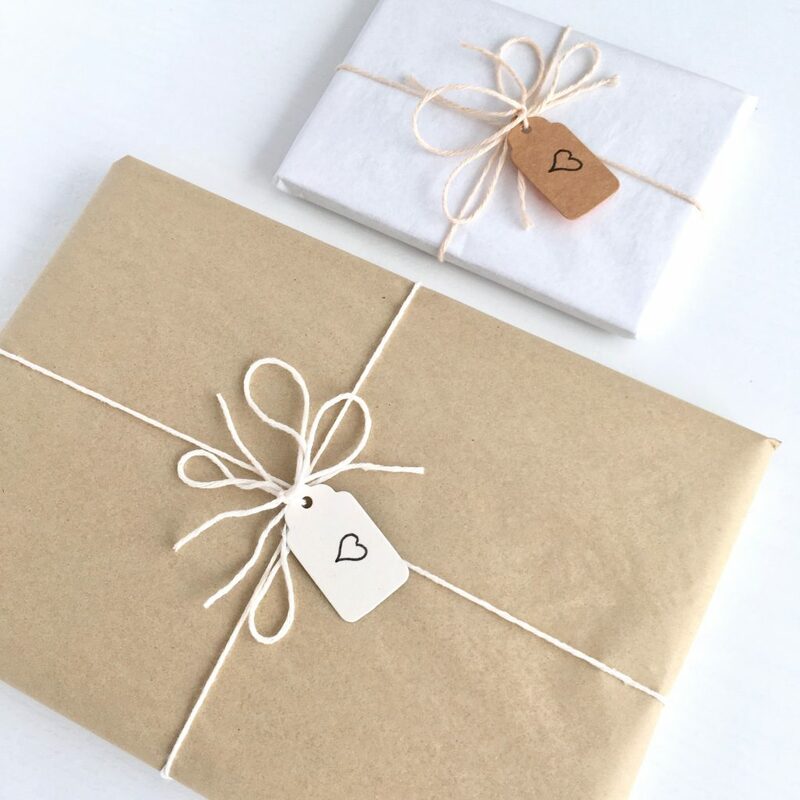 I adore beautifully-wrapped items and as a customer, I have not been disappointed. It makes a difference to me how my purchases are presented and will influence where I buy.